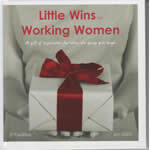 This is an easy-to-read book that assists women achieve greater self-esteem and confidence in all areas of their lives. The Forward was kindly written by Fabian Dattner of Dattner Grant Pty Ltd. 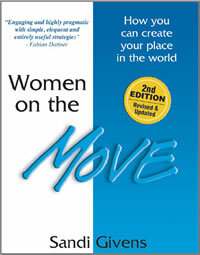 Incorporating practical exercises and activities, guided step-by-step instructions, personal anecdotes and inspirational quotes, this book is a must for every woman who wants to maximise her potential and live a fulfilling and satisfying life! Additional sections suggest ways of making the most of your investment in the book, how to keep moving forward and suggestions for sharing this information with others. This is a wonderful gift of inspiration for any busy woman - if you know someone who's ever felt like they're juggling so many things they can't keep up, then they’ll be delighted to receive this small hardcover gift book. Full of inspiration to push on when the going gets tough, and advice that will motivate women to strive for even greater heights … I keep one on my desk and reach for it whenever I need to be uplifted and affirmed. 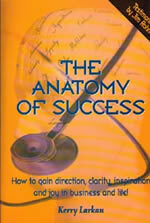 Featuring Bill Gates, Deepak Chopra, Colin Powell, John Naisbitt and Robyn Henderson and other contributors. What actions lead Master Networkers to greater success than the rest of us? All your networking questions answered. Masters of networking know that givers gain – that creating, maintaining and serving a wide network leads to great business and personal rewards. Generating leads and referrals, building healthy relationships, and delivering value over the long-term are at the heart of networking. 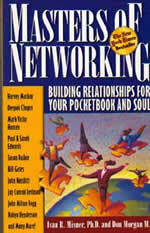 This book is packed with valuable insights and personal examples from many of today’s top networkers from around the globe. An inspirational source of practical information! I confess … I’m hopeless with managing the paper in my life! At least I was until I read this fabulous, practical book! 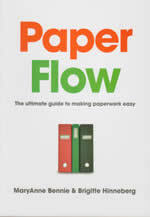 With the subtitle of ‘The ultimate guide to making paperwork easy’, when MaryAnne told me about this system, I was skeptical. I felt like I’d tried everything to get on top of the piles of paper in my office, and that I was simply doomed to paying ‘late fees’ on my fees for the rest of my life. But how wrong I was. Step by simple step, this book will guide you through the process of identifying your needs, designing a system that deals with your unique challenges, getting set it set up … and most importantly how to use and maintain that system so it works for you forever. I rarely personally recommend a book – but this one most definitely comes with my personal money-back-guarantee. You’ll be delighted with the results, I promise you. Have you ever wondered what the driving force is behind every highly successful person or organisation? Many people believe they cannot change their habits, but in this book Kerry shows you how to think differently, behave differently and get different results – better results! Making considered choices in your life is a recurrent theme throughout the book. Dealing with change, developing resilience and practicing self-leadership are some of the key messages and techniques Kerry shares in this book which is clearly written from the heart. Kerry has worked with some of Australia’s and Asia’s best companies and organisations … now you can benefit from his wisdom, too! S.M.I.L.E. your way to Success! A five-step attitude adjustment program for increased personal effectiveness. Many of us search for answers to the question ‘how can I feel happier?’. This light-hearted, easy to read collection of thoughts and stories is designed to help you with that search – and to put a smile on your face! 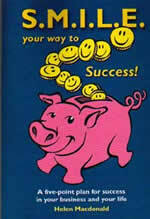 Chapters include Your Happiness Assets, The S.M.I.L.E Principle, Maintaining the Habit – Happiness for Life.